Founded in 1989, Asquith Nurseries is one of the UK’s leading providers of high-quality child care and early years education and has a strong record of excellence and consistently high ratings from Ofsted. Asquith has also long committed to a philosophy of child-based learning and exploration and equips its nurseries with the latest technology and a curriculum that prepares children for school and lifelong learning. 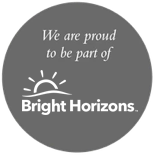 In November 2016, Asquith became part of the Bright Horizons family.